Turn "I Will" Into "I Did"
Morning is by far the most important part of your day. It sets the tone of your entire day so jump into it with healthy choices. Give your body the exercise it yearns for and fuel it with good nutrition. You’ll not only clear your mind, but you’ll feel empowered, energized, and ready to take on the world. 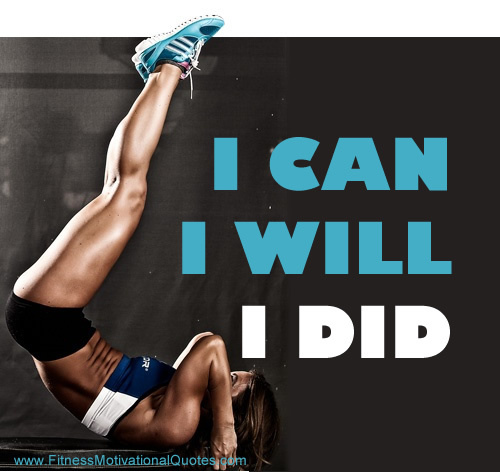 So turn your “I will” into an “I did” by going to the gym this morning. Whatever exercise you choose to do is great. As long as you get your body moving. But don’t forget to brighten your mornings with a SMILE. Laughing for 10 minutes a day will help sculpt and tone your abs!